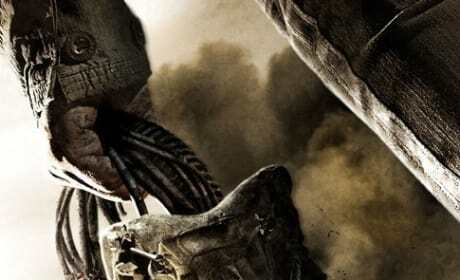 Christian Bale and Sam Worthington are featured on this poster for Terminator Salvation. The movie is sure to be a 2009 blockbuster. 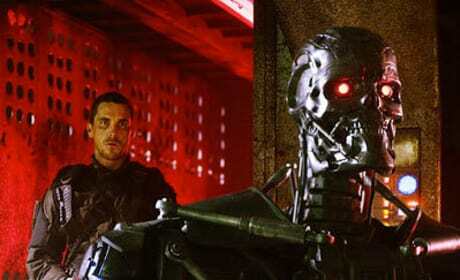 Here's a look at the future in Terminator Salvation. 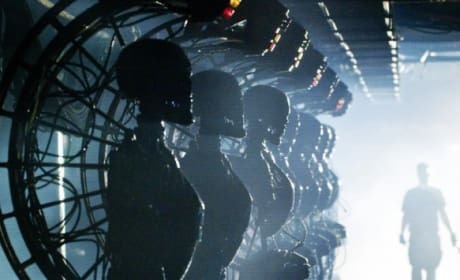 In the film, Skynet and mankind are waging all-out war against one another. 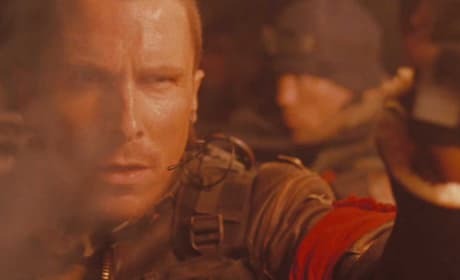 John Connor peers through a cloud of smoke in this shot from Terminator Salvation. The character, of course, is played by Christian Bale. 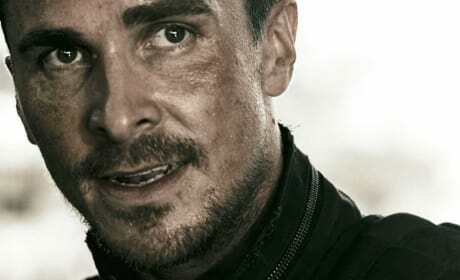 Christian Bale portrays the iconic John Connor in Terminator Salvation. Here's a close-up of the character. 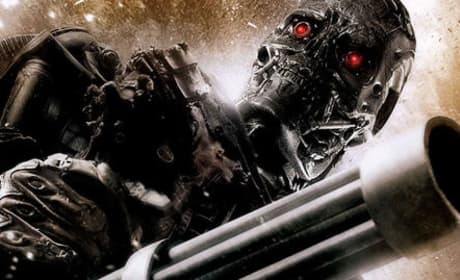 John Connor has a lot of Terminators to square off against in Terminator Salvation. Here are a few of them. This is what John Connor has to deal with in the future. Terminators are everywhere. This is what we like to see! Die, terminators, die! Here's another poster for Terminator Salvation. The latest addition to this franchise opens in May of 2009. This poster for Terminator Salvation doesn't star John Connor. It features one of the robots he's trying to take down. In Terminator Salvation, Barnes is an ally of John Connor. 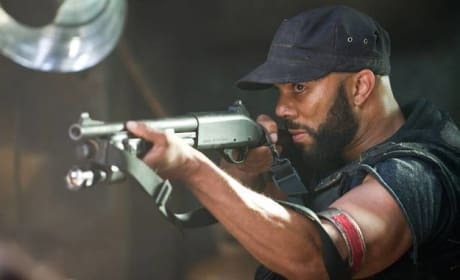 He's portrayed by the rapper Common. 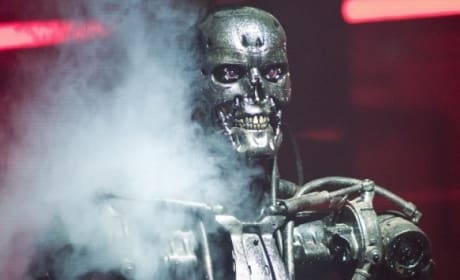 Blair Williams is a character from Terminator Salvation. 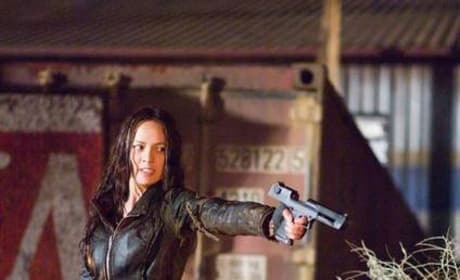 She's played by actress Moon Bloodgood. Careful, John Connor. 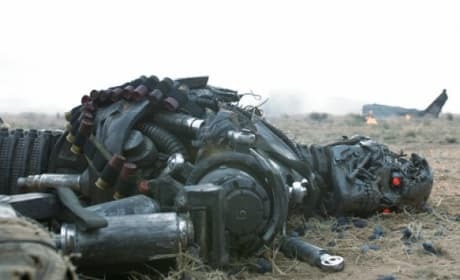 Christian Bale takes on this role in Terminator Salvation, and he comes across someone that doesn't like humans in this scene. Permalink: Come with me if you want to live. I knew it. I knew it was coming. But this is not the future my mother warned me about. And in this future, I don't know if we can win this war. This is John Connor.